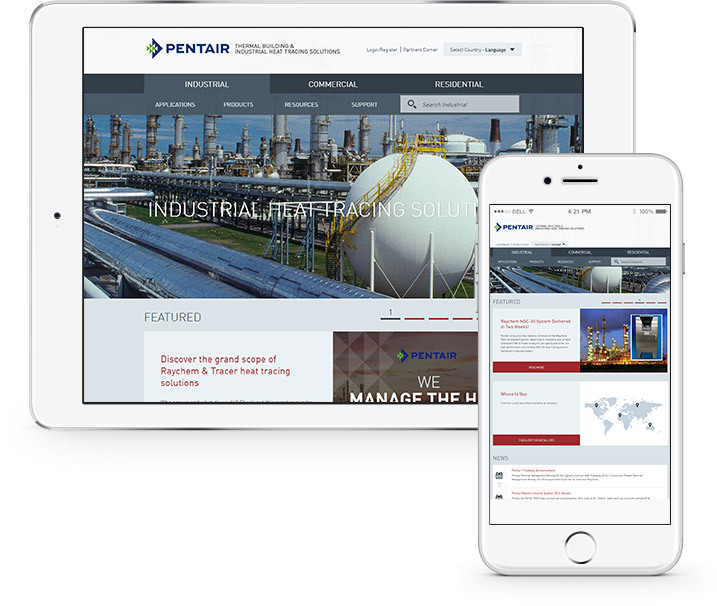 Pentair plc is a diversified industrial manufacturing company founded in 1966 as Pentair Industries, Inc. Today, Pentair is a global company with more than 30 000 employees and $6.4 billion annual revenue. Its primary focus is the water and fluid control used in the energy, food & beverage and manufacturing industries as well as infrastructure. The Company operates through four segments: Valves & Controls, Flow & Filtration Solutions, Water Quality Systems and Technical Solutions. 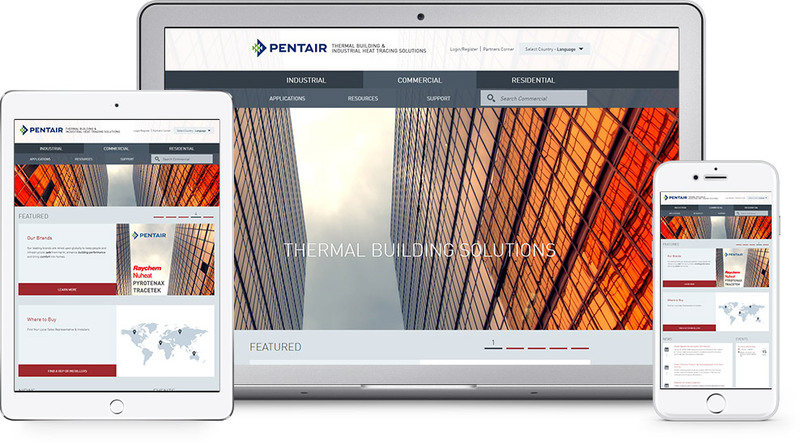 With its 100 manufacturing facilities and 500+ product lines stretching across 6 continents and 20+ global business platforms, Pentair needed a global, centralized CMS platform with the local flexibility. Business required an integrated platform to support both central and local management of website content and digital assets across multiple market segments and multiple brands. It is important to say that local websites are not just a translated version of the global website. Knowing that the product offerings differ across the markets and regions the websites needed to reflect these specific needs and target audiences in specific countries. As an enterprise-level solution, which offers an integrated approach to brand and content management across multiple websites and multiple channels in multiple languages, SDL Tridion was selected as the CMS platform. In period 2010-2013, we delivered a global platform, which supports 160 websites across different segments (Corporate, Valves, Thermal, Water), brands, countries and languages. We rolled out 160 websites based on the latest trends, with consistent guidelines and a design, delivering information across the markets and regions in order to reflect the specific needs and target specific audiences. The solution had many benefits for Pentair: increased efficiency in websites management as it is centralized with the built-in translation, DAM integration and flexibility in local content management, consistency in workflow processes, consistency in the delivery to website visitors, simple and easy creation of microsites, etc.